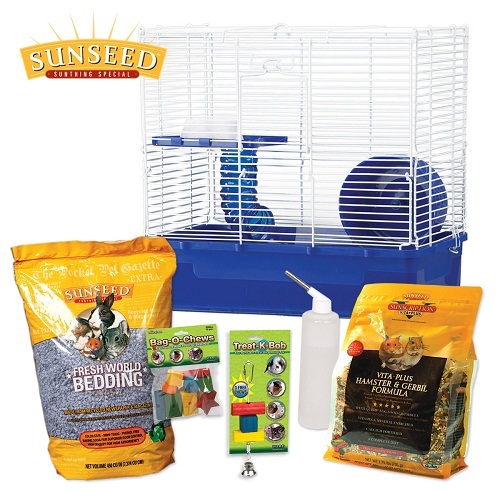 The Home Sweet Home Sunseed Hamster Kit by Ware Pet features a cage with a deep plastic base and an easy snap on top made of durable powder coated wire. This complete kit features Sun Seed brand food. It also includes bottle, bowl, chew treat, toy and bedding. Great for new pet owners.